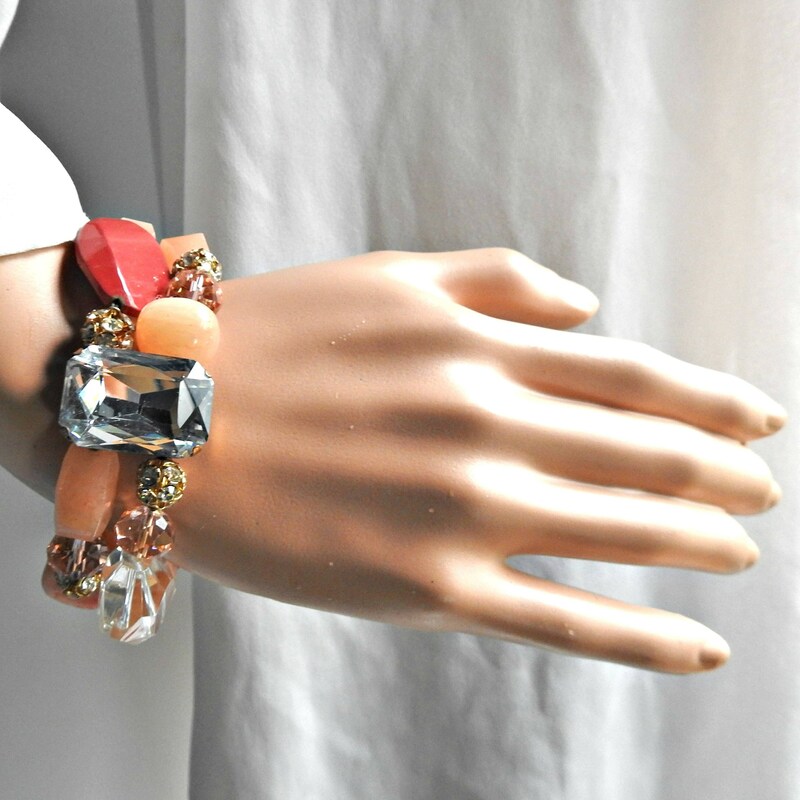 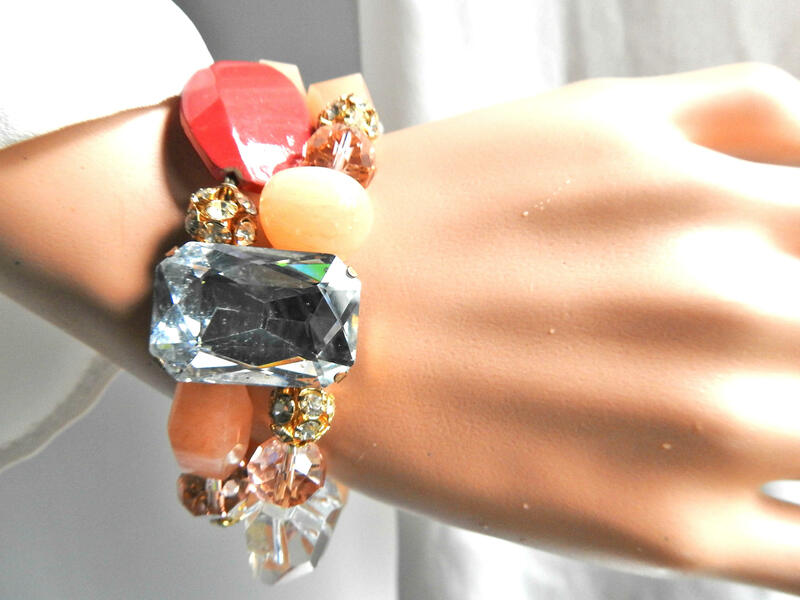 We love the chic and festive style of this big crystal bracelet! 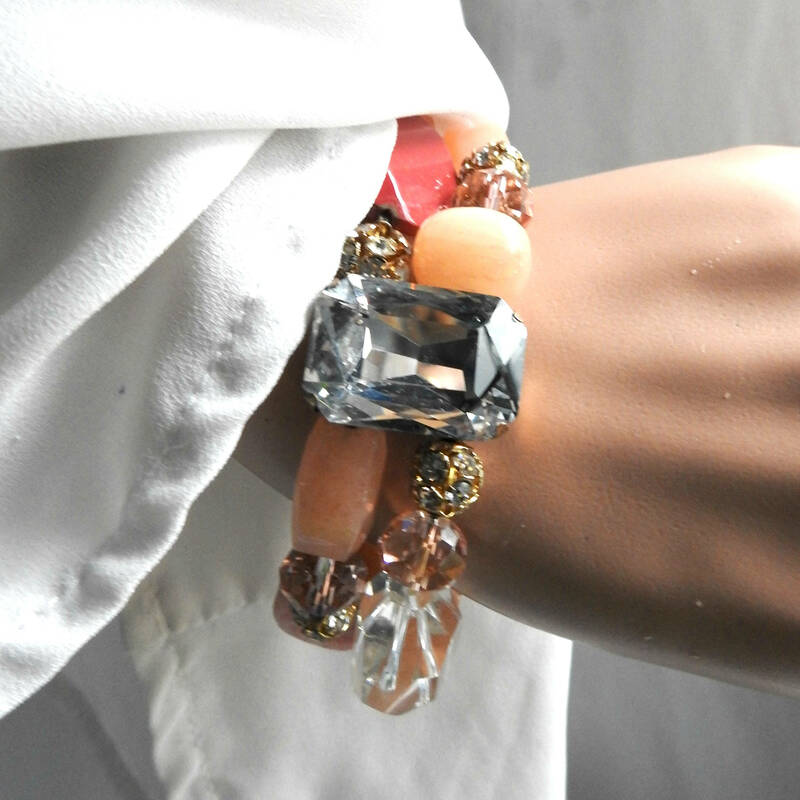 Complete your sparkly evening look with this double row light pink bracelet! 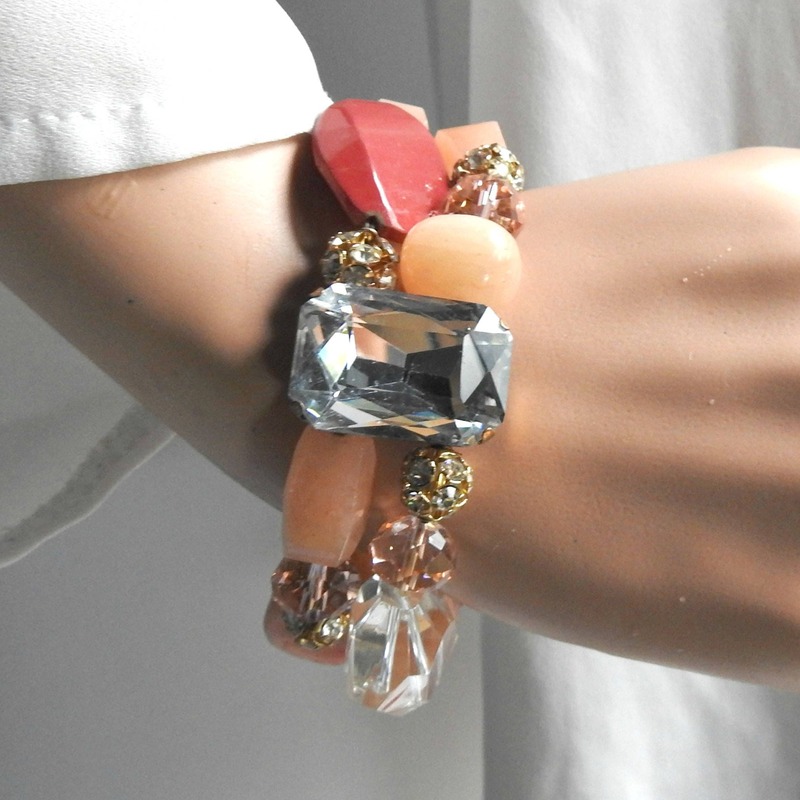 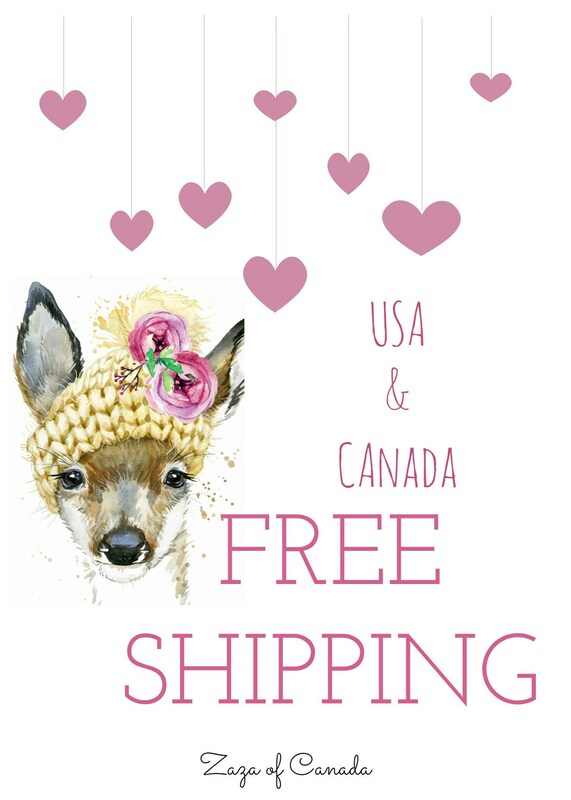 If you want unique jewelry, this pink dressy bracelet is for you!